Viva La Guatemala! | Small Batch Roasting Co.
Guatemala is absolutely one of our favourite places to source coffee. Working with smallholder producers and purchasing their parchment coffee directly from them, year after year, has been an exercise in patience, humility, and seriously good vibrations. While most buyers content themselves with enacting their direct-trade with larger producers, dealing in green exportable coffee negotiated in USDs per pound, we’ve gone to great lengths to support smallholders, preferencing growers and communities that benefit MUCH more from direct trade and from our high prices. 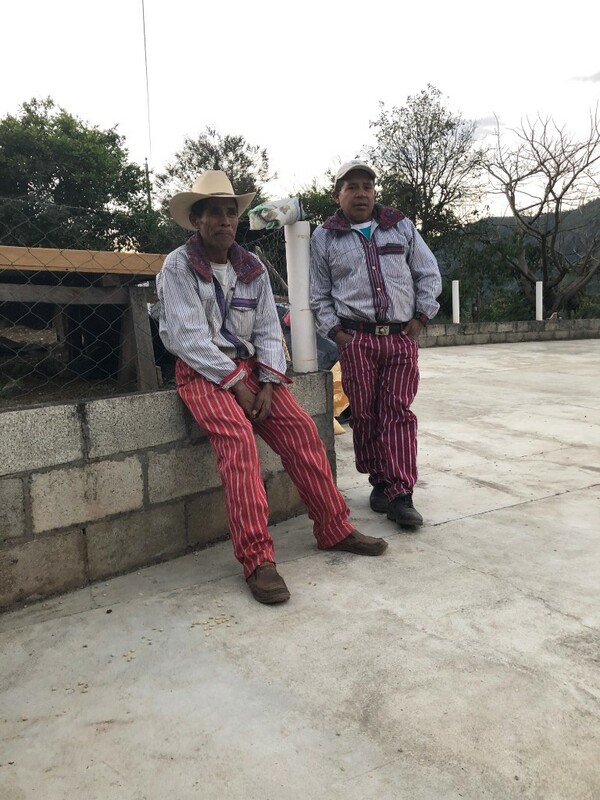 Buying parchment coffee from small family farms in the remote areas of Huehuetenango is not easy: it requires much financial risk, (like, mucho), much time on the ground and much logistic and linguistic savviness. It just so happens that we have ended up, for the second year in a row, with some of our favourite coffees from across all the regions we work in. While we continue to fund our long-running grassroots projects on the ground in Colombia via our sister company and export operation Shared Source S.A.S, we want to put the spotlight on Guatemala for a moment, and in particular to smallholder farming in the northern state of Huehuetenango. Here we work closely with the Co-Operatives of ASIAST, ASODIETT and ASDEFLOR in the townships of San Antonio Huista and Todos Santos Cuchumatan in Huehuetenango. Many of the producers are members of the Mam Mayan indigenous communities and most are subsistence farmers. 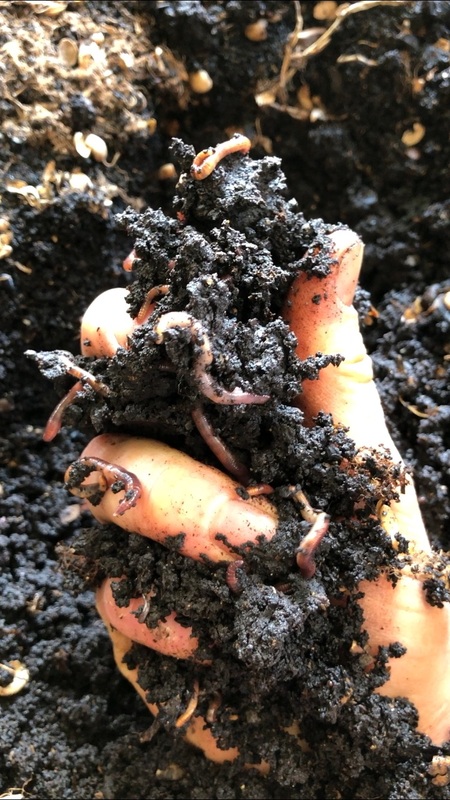 Rich, healthy soil, this is how the best coffee starts. This is a beautiful place to grow coffee. Limestone soils, searing high altitudes, cold nights and hot days, all the ingredients to allow traditional varietals (Bourbon, Caturra and the likes) to produce highest quality cherry. Our Guats always arrive later into the year because we have to wait ever-so patiently for the Huehue’s to come down, they’re always the very very last to deliver. And the producers are always asking us to wait for their last pickings to dry, to sell the most they can at premium prices. Traditionally this is an area where small farmers process and dry their own coffee, as opposed to selling red cherries to the local coyote or co-operative. Selling dry parchment coffee is taking the biggest piece of the pie possible for a smallholder. And when you sell directly to the final buyer without ANY intermediaries, well that pie just gets a whole lot larger. For a roaster to purchase parchment coffee outright from a small grower and subsequently pay for the milling and export themselves is UNHEARD OF. Why? Risk, distrust, fear of the upfront payment. More than anything having the wherewithal to make it happen, and investing in the right people to make sure the risk pays off. And it has, really big time. Our coffees are exceptional this year, and proof that consistency of buying year after year makes real impact: promising to return with the highest prices and to increase prices for an improved cup gives these women and men the confidence they need to invest in quality and achieve increasingly higher prices for their microlots. And now we want to enable them to make their coffee even better. A BIG part of the final quality of the coffee comes down to drying. A producer can have the most amazing healthy soils, stunning heirloom varietals, be an expert processor, and then lose all of that raw goodness if the coffee isn’t dried properly. Often coffees will cup crazy good at origin just after harvest, and then due to poor drying the coffee will die within a couple of months of arriving. Why? Huehuetenango is an area increasingly affected by climate change, and often during the drying period in February, March and April, conditions can be very very hot and very very dry. Producers traditionally dry their coffee on concrete patios, exposed to direct sunlight. 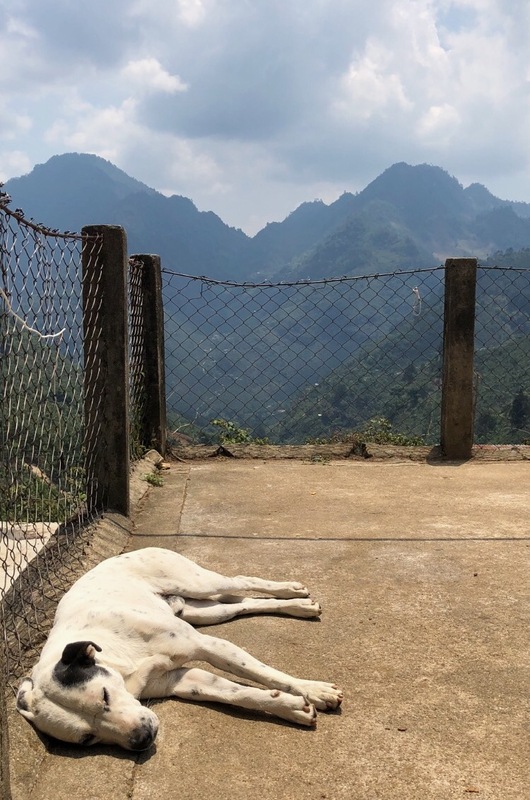 While having low relative humidity in the air is essential for drying coffee properly the hot sun of Huehuetenango can cause coffee to dry in a matter of one or two days if you’re not careful. (Conversely, the high ambient humidity on the farms of our Colombian producers causes drying to take way too long and is very non-linear). In Guatemala we all-too-often see parchment broken open on patios, this exposes the seeds within to direct sunlight, essentially drying them out, damaging the embryo, and prematurely beginning the process of ageing. One quick, easy and cost-effective way to make a dramatic difference is shade cloth. 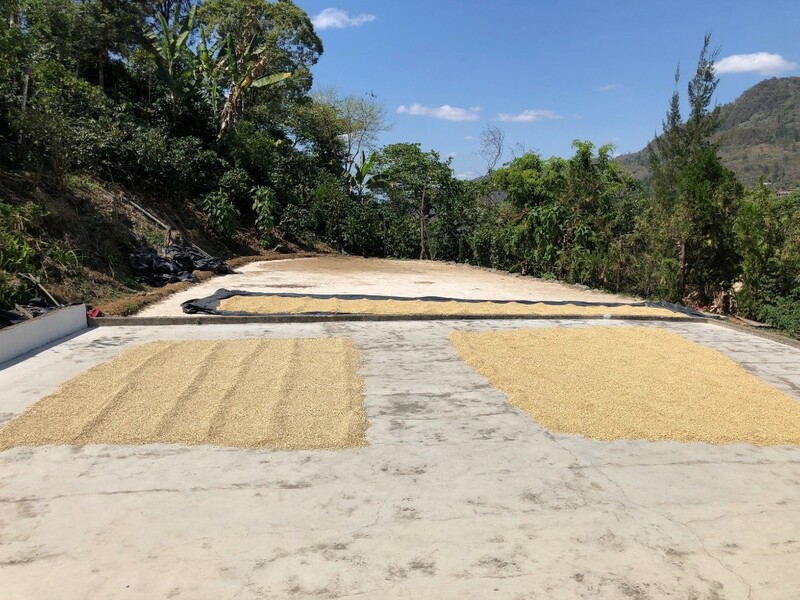 Whether producers choose to erect structures or simply pile the coffee and cover it with shade cloth during the hottest part of the day, shade drying will prolong the whole process, protect the parchment from breaking open, and allow moisture to leave the seed in a linear fashion. Shade cloth is much cheaper bought in bulk, and even though it’s relatively cheap, smallholders are generally not willing or able to spend their earnings on materials that are outside of the bare essentials. Similarly, if the coffee is well dried, protected from harsh sun-rays and the parchment is kept intact, then the next step, and one not normally taken by smallholders who traditionally sell to intermediaries without our stricter requirements, is to store the coffee properly. In Huehue producers store coffee in their living rooms or bedrooms throughout harvest until the entire lot is ready to rock and roll. Usually this is simply in nylon or hessian, meaning the parchment coffee is exposed to changes in humidity and temperature throughout the day. The coffee will inevitably dry further in these conditions, often to below where we’d like to have it and sometimes so low that it must be rejected. Then during transport to the dry mill, which is always closer to ports and lower altitude, the coffee will again increase in humidity as, like a sponge, it absorbs whatever’s in the air. That strong Guatemalan sun, beautiful, but also a little dangerous for these beans if they are left in it too long. Why is this bad? For coffee to dry in a non-linear fashion increases water activity within the seed, disrupts stability, makes it harder to roast, and in our experience causes the coffee to prematurely age. Quality decline is a serious issue for a small roastery that pays top dollar for all of our products. And, to be honest, we simply can’t absorb the loss and it undermines being able to buy from that producer again, let alone at the same high prices. If we raise a healthy amount of money we will purchase one or more humidity meters that can be shared amongst producer groups. These cost about $600 for a good one, are easy to use on the ground, and measure the humidity of parchment coffee. This tool will ensure producers pull their coffee off the patio at exactly the right time. The difference between 11% and 12% moitsture content makes a drastic impact on cup and shelf life. Humidity meters are the number one tool requested from us by smallholders. We very regularly finance their purchase – bringing them to origin in our suitcases – and allow growers to repay the loan with their sale of coffee to us. We would love to be able to donate more, so we will leave this fundraising drive online into the future. We understand it as our responsibility to enable growth and improvement, so we can buy more, buy better, and see household incomes increase. Quality coffee is great for us all on this end, but seen from another perspective it’s a means to an end, where the end is real and positive development for smallholders. It truly is a wonderful thing to be a conduit of such coffee. Patios, a great place to relax in the sun for this guy, but not for coffee. So! Want to donate? We’re making it simple and easy to contribute materials to the producers. You can come on the night and buy glorious beverages and coffee beans from the smallholders themselves, and we will continue the work we have been doing behind the scenes over the years with your regular purchases. Keep your eyes peeled though, as we will be inviting you to flex your donation muscles again soon! Shadecloth costs about $2 per square metre.. On average a smallholder needs 100mts/sq to cover their whole patio, or use less for partial coverage (infinitely better than none at all!). So if you buy a beer for $8, we’re going to use the proceeds to fund 4 square meters of well dried coffee… if you buy a $200 beer then you’ve ensured a family can dry their whole harvest to perfection. (Taking this complicated maths to calculus levels, the same can be achieved if 24 of your friends also buy an $8 beer). GrainPro bags cost about $4.50 in Guatemala, and while we will be taking over our old ones next trip, we can only really fit about 100. A smallholder will need between 15 and 30 throughout harvest on average. So yep, we’re seeking to fund more! 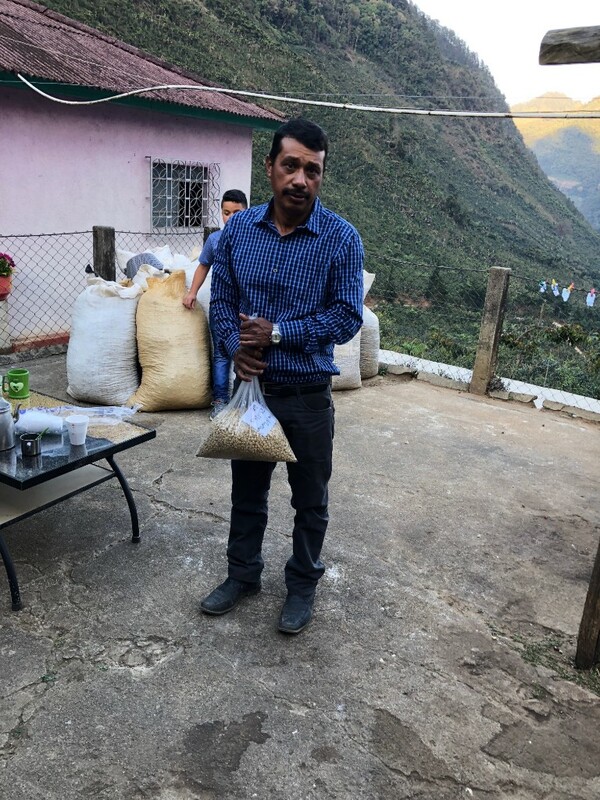 To give you an idea, we purchased from about 30 individual smallholders in Huehuetenango this harvest. For our wonderful wholesale clients, you’ll soon have the opportunity to opt-in to our drive by adding a % donation onto your coffee purchase that will be directly put into the pool. We’ll be returning towards the end of the year to make sure producers have their shadecloth and GrainPros are ready to roll before harvest. And during harvest we will be very insistent that plastic bags are being used! We’ll be documenting progress with much excitement. Guatemala – We can’t get enough!